Vintage, heritage, rarity – all words we at Prestige Hong Kong are especially interested in this February. We have, after all, dedicated our February issue to celebrating the best of the past. 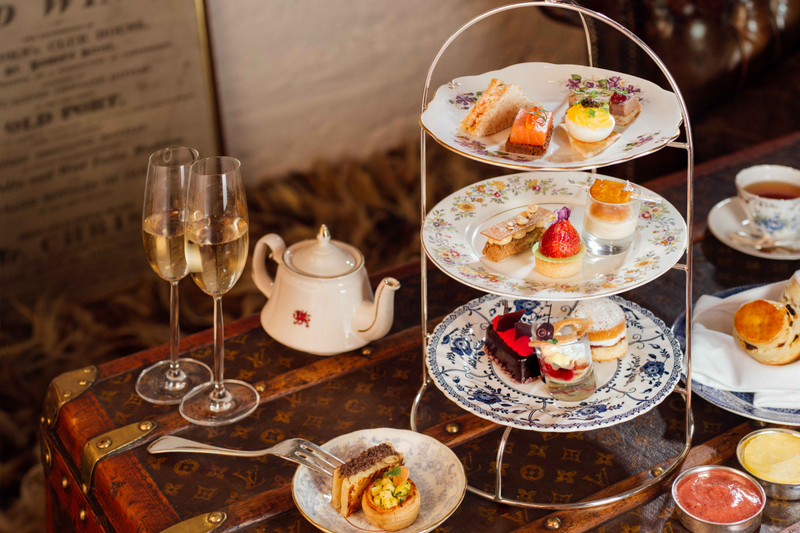 Mandarin Oriental Hong Kong seems to agree and has partnered with British furniture authority Timothy Oulton to host high tea in the grand dame’s lobby lounge. “I’ve had high tea at the Mandarin many times before!” I hear you say. Not like this, you haven’t. The classic Mandarin Oriental afternoon tea set has been re-created by Executive Pastry Chef Yves Matthey to reflect classic treats. Expect twists on classics such as Balik salmon, salmon roe with honey mustard, Alaskan king crab and truffle toasted sandwiches. There’s a fancy supplement of Iranian beluga caviar and Krug Grande Cuvée champagne (for an additional HK$398 and $380, respectively) because the decadence of the past spared no expense and grandiosity knew no limits. For sweets, think mini sherry trifle, Paris-Brest and queen’s cake. There’s a fantastic little Victoria sponge that conjures images of governesses having tea with their ward in the nursery. Where Oulton steps in, is, well, with every aspect of the Rare by Oulton Afternoon Tea Set. The space can seat only 16 for each afternoon setting. The reason for this is that every last piece of furniture, crockery and cutlery is a vintage item. The teapots, saucers and teaspoons are part of commemorative sets celebrating the Queen and Prince Philip’s marriage and some of Princess Diana and Prince Charles’ nuptial celebrations. The chairs are plush upholstered creations and the charm of the mismatched tables is that each one belongs to a different place in time. Guests sit ensconced in an alcove built of Louis Vuitton trunks – everything you see, use and sit on can be purchased. All you have to do is point and ask. There’s a King Edward VII gold snuffbox, a Louis Vuitton low Hearst trunk and Louis Vuitton standing trunk. If all of this seems too new-fangled for you, devotees of the classic Mandarin Oriental afternoon tea can take comfort in the hotel’s classic raisin and plain scones accompanied by everyone’s favourite – the famed rose petal jam and Devon clotted cream. Make sure you make a reservation in advance. Indulge in the Rare by Oulton Afternoon Tea Set from today until 11 February. Sittings are 2.30pm and 5pm every day at the Mandarin Oriental Lobby Lounge; the three-tiered extravaganza costs HK398 per person.